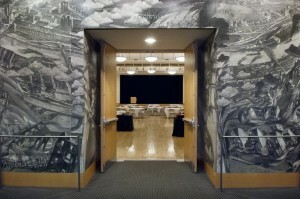 A life emeritus trustee of Carnegie Mellon University (CMU), Mr. Rangos established the Rangos Hall at CMU’s University Center, where many major on-campus events are held throughout the year. Mr. Rangos has also has been instrumental in helping the university transfer innovative technologies to industry. During his longstanding relationship with CMU, he realized that many people of Greek heritage hold high-level positions in the world’s top technology companies. His natural affinity for collaboration and partnership inspired the idea of establishing a program in Greece with an eye toward advancing Pittsburgh’s growing reputation as a center for innovative technology. With that inspiration, the Information Networking Institute at CMU joined forces with the Athens Institute of Technology (AIT), a highly respected education and research center in information technology and telecommunications in Europe. In 2003, CMU and AIT launched a joint Master of Science in Information Networking (MSIN) program in Athens, Greece. The innovative program is taught by faculty from both institutions, using advanced telecommunications technology and introducing students to management, strategic thinking and policy. Dozens of students from 12 countries have already graduated. The MSIN program set a new standard for international education, providing opportunities for some of the world’s best minds to work together for technological breakthroughs.